Still so sad today. Because am in a new classroom, my pupils have been very well behaved today (it seems to have had some psychological effect). I needed this, because I didn’t sleep well and feel very out of sorts. 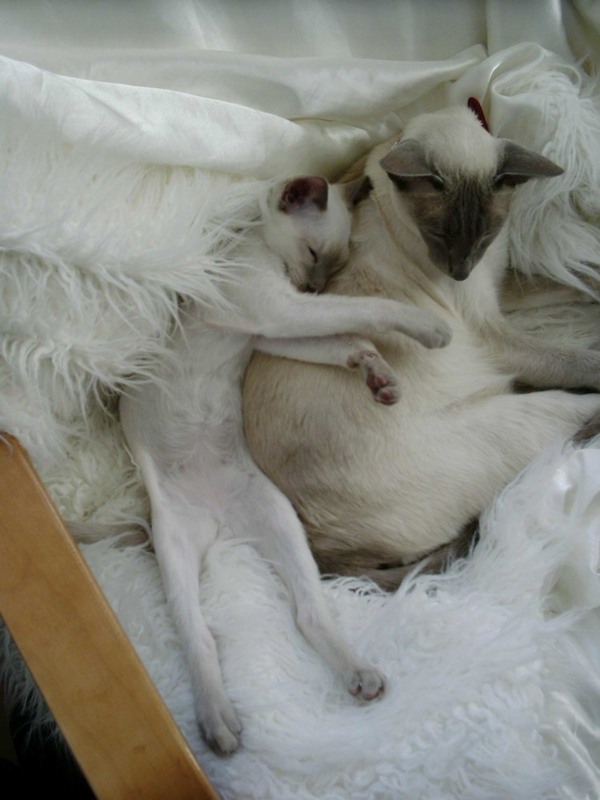 Emma (Rosie’s original mum, who had her from a kitten to the age of 5), sent me lots of pictures of Rosie and here she is with Willow when he was a baby kitten. I can’t help but smile when I look at this adorable photograph.